Very close to the parks were you can walk or take a complementary boat ride. It is also great that you can go in at 8 am. Love how close it is to Universal!! Quick walk, easy to run back to the room and take a break if you need one. Amazing place. Great access to universal studios and islands of adventure. Employees were super nice. Worth the price! Location is so convenient to parks. Pool area was great. Staff was so friendly and accurate. Wonderful, well maintained hotel very convenient to Universal Studios. Definitely recommend this hotel if Universal Studios is your travel destination! Early entry and "express pass" comes with stay. Very easy and enjoyable walk to parks. Great pool area, not huge though. Staff very attentive. Go during off season to get best deals and smaller crowds at parks and pool area. The proximity to the attractions and the on time arrival of transportation. Staff was very courteous and helpful in all areas. Very luxurious and upscale environment. Higher prices are common for vacation spots, but prices seemed quite high for most items and services which somewhat limited the frequency of our purchases. An automatic charge of 18% gratuitiy was not well received especially for self service transactions, i.e. getting a soft drink from the bar. I paid for two queen beds and they only had one king bed for my family of four which includes two teenagers. They comped our breakfast but for $500 a night beds would have been real nice! Beautiful property, great location...walk to parks. Kids loved the pool. This place was amazing, from the warm welcome, to the proximity to Universal, to the fantastic pool. The pool had lifeguards and servers and even a greeter (which is a sign of high detail to service). The rooms were comfortable and clean. The price is a little high, but if you factor in the express pass (if you planned to get it) the price becomes much more reasonable. Very nice hotel with excellent staff and amenities. Beautiful experience. Good service, good food, tropical paradise. Awesome experience. Everyone was incredibly nice and helpful. Hotel is very convenient to the parks. Only complaint is the room bathrooms are not very private with the sliding door. 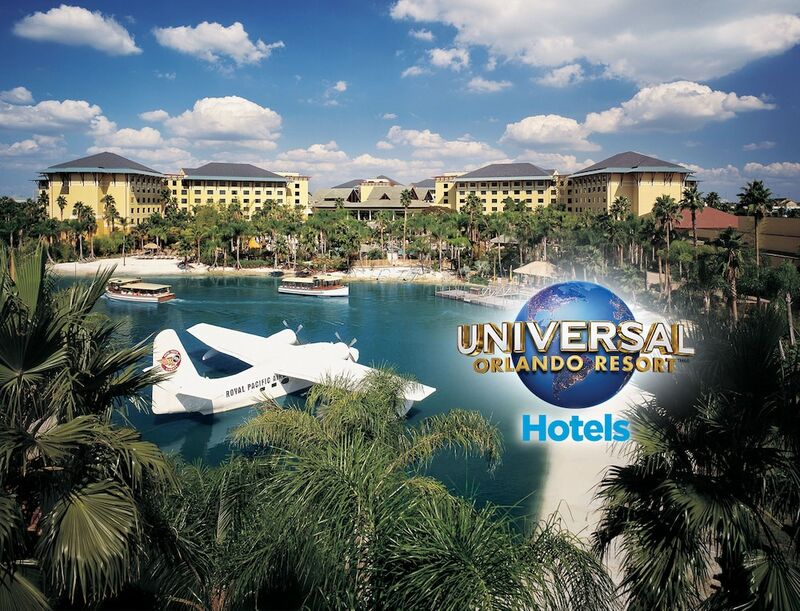 Universal's Loews Royal Pacific Resort places you within a 10-minute stroll of popular attractions such as Universal CityWalk™ and Hollywood Drive-In Golf. This 4-star resort has 1000 guestrooms and offers an outdoor pool, free in-room WiFi, and a fitness center. Relish the Asian cuisine at Emerils Tchoup Chop, one of 3 onsite restaurants. Satisfy your hunger without leaving your room with 24-hour room service, or quench your thirst with a beverage at the bar/lounge or coffee shop/café. For your convenience, a cooked-to-order breakfast is available for a fee. Guests can expect to find free WiFi and 32-inch a flat-screen TV with cable channels and pay movies. The bathroom offers hair dryers and free toiletries. Other standard amenities include an iPod dock, a refrigerator, and a coffee maker. Universal's Loews Royal Pacific Resort features an outdoor pool, a children's pool, and a fitness center. Parking is available for USD 27.00 per night (USD 36.00 per night for valet parking), and there's also an area shuttle for a fee. Multilingual staff at the 24-hour front desk can assist with luggage storage, dry cleaning/laundry, and securing valuables. Other amenities at this family-friendly resort include a sauna, free WiFi in public areas, and a conference center. Emerils Tchoup Chop - Restaurant and bar specializing in Asian cuisine and serving lunch and dinner. Orchid Court Sushi Bar - Sushi bar specializing in sushi and serving dinner. Islands Dining Room - Restaurant specializing in Pan-Asian cuisine and serving breakfast and dinner. Kid's menu available. Bula Bar and Grille - Poolside restaurant serving lunch and dinner. Jakes American Bar - Restaurant and bar specializing in American cuisine and serving lunch and dinner. The resort has an outdoor pool and a children's pool. A sauna and a fitness center are other recreation options. Book a stay in any room or rate category and receive early park admission to The Wizarding World of Harry Potter™ and Universal's Volcano Bay™ 1 hour before theme parks open (valid admission tickets required); complimentary resort transportation to and from Universal Studios Florida™, Universal Islands of Adventure™ and Universal’s CityWalk™; resort-wide charging privileges; complimentary City Walk Party Pass℠; complimentary delivery of merchandise; Universal Orlando™ Character appearances with popular theme park characters; and Universal Orlando™ Golf Program, providing preferred tee times and complimentary transportation to select area golf courses. †Based on average price of a 2-Park Universal Express Unlimited pass ranging between $99.99 and $169.99. Requires theme park admission. Valid at Universal Studios Florida and Universal’s Islands of Adventure. Not valid at Pteranodon Flyers™ at Universal’s Islands of Adventure. Excludes separately ticketed events. Benefit not valid for guests staying at Universal’s Cabana Bay Beach Resort, Loews Sapphire Falls Resort, and Universal’s Aventura Hotel (Opening 2018) or for Universal’s Volcano Bay. Valid for the number of guests staying in the room for the length of hotel stay. Available during normal theme park operating hours only. Additional restrictions may apply and benefits are subject to change without notice. *Requires theme park admission. Early Park Admission begins one (1) hour prior to regularly scheduled park opening to either Universal Studios Florida™ or Universal’s Islands of Adventure™ determined by Universal Orlando and Universal’s Volcano Bay™. Valid at select attractions at each park. Universal Orlando Resort reserves the right to open alternative attractions in the event that a technical problem arises or an attraction opening is delayed. Additional restrictions may apply.